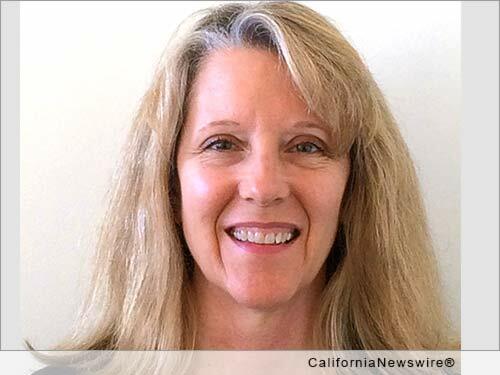 SAN FRANCISCO, Calif. /California Newswire/ — EPIC Insurance Brokers and Consultants, a retail property, casualty insurance brokerage and employee benefits consultant, announced today that Penny Miller has joined the firm's Employee Benefits Consulting team. She will be based in San Francisco and report to David Wiesner, Regional Director Employee Benefits. Joining as a Vice President, Miller brings 25 years of employee benefits experience to EPIC. She was previously a principal at Mercer in San Francisco with a focus on client relationship management, benefits program strategy, and business development. Miller's expertise in resolving client issues, managing client teams, and conducting financial analyses provided her the opportunity to serve clients of varying size in a wide range of industries, including growth companies converting from fully-insured programs to self-funding. As a consultant for EPIC's Employee Benefits practice, Miller will provide service leadership to EPIC clients; including overall strategy, relationship management and plan management. She will also develop new business opportunities. "Penny is a disciplined, results oriented individual, with a passion for service excellence and the delivery of value," said John Connell, President, Employee Benefits of California. "She is well respected in our business and her principles and ability are highly aligned with EPIC's core values surrounding client advocacy, collaboration, and putting 'people first.' We are excited to have Penny join our growing operations in Northern California and the across the country." Miller earned a Bachelor of Arts Degree from Santa Clara University in California. Office: 415-356-3981 / Mobile: 415-652-0699. EPIC is a unique and innovative retail property & casualty and employee benefits insurance brokerage and consulting firm. EPIC has created a values-based, client-focused culture that attracts and retains top talent, fosters employee satisfaction and loyalty and sustains a high level of customer service excellence. EPIC team members have consistently recognized their company as a "Best Place to Work" in multiple regions and as a "Best Place to Work in the Insurance Industry" nationally. EPIC now has more than 850 team members operating from offices across the U.S., providing Property Casualty, Employee Benefits, Specialty Programs and Private Client solutions to more than 13,000 clients. With more than $200 million in revenues, EPIC ranks among the top 20 retail insurance brokers in the United States. Backed by the Carlyle Group, the company continues to expand organically and through strategic acquisitions across the country. For additional information, please visit http://www.epicbrokers.com/. For questions or comments regarding the above news announcement, contact the company/organization(s) mentioned in the text, and not this website. Copyright © 2016 CaliforniaNewswire® and Neotrope®. California Newswire is a publication of the Neotrope News Network and a U.S. reg. TM of Neotrope.